There's no need to fear! 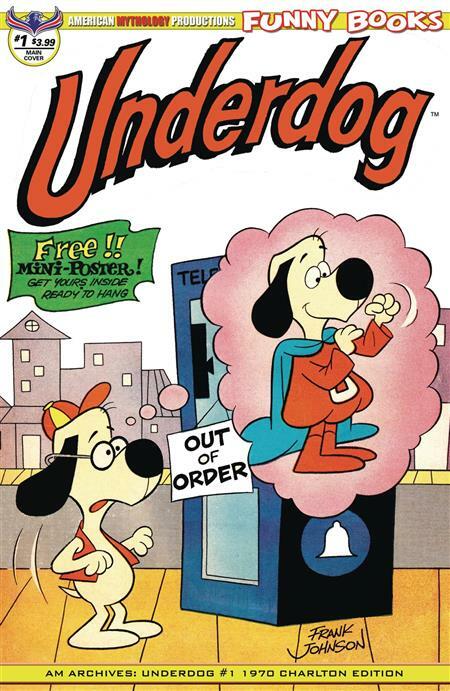 The impossible-to-find Charlton Comics first-ever issue of UNDERDOG is here! Reprinted in its entirety for the first time since July of 1970-holdy cow, that almost 50 years ago! Come with us bacl to the age of Saturday morning cartoons with one of the all-time favorites, Underdog! Classic tales like 'Planet Zot' and 'Twinkles Winkles & Tinkles' by master artist Frank Johnson are waiting for you to pull up a comfy chair and grab a bowl of cereal!